TEC (Thermo-Electric Cooler, or Peltier Cooler) is a semiconductor device which can cool down or heat up the temperature of a thermal load depending on the direction of the current going through the two terminals of the TEC. By using a TEC controller, the thermal load temperature can be regulated precisely by controlling the direction and magnitude of the current going through the TEC. We have a variety of TEC controllers. TECA1-xV-xV-D series TEC controllers feature high efficiency, high stability, high reliability and compact sizes. The maximum current is 2.5A. They are often used for controlling temperatures in laser systems. 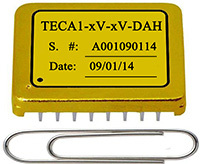 TECA1-xV-xV-DAH series TEC controllers have higher accuracy than TECA1-xV-xV-D series TEC controllers. TEC5V4A-D is almost the same TEC controller as the above TECA1-xV-xV-D TEC/Peltier controller, except that the maximum output current is 4A, as opposed to the 2.5A. 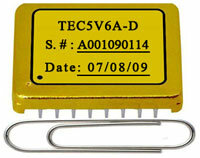 TEC5V6A-D TEC controller has the same pin out as the above 2 TEC controllers. Many of these TEC controllers work well with our TEC Modules, Thermistors and Thermally Conductive Epoxy. This TEC Controller Evaluation Kit TECEV103 can be used for evaluating our TECA1 series TEC controllers conveniently. TECEV103 has been replaced with TECEV104. 1. Q: How Does a TEC Work? A: TEC stands for “Thermoelectric Cooler” that can produce both heating and cooling based on the Peltier effect. TEC can transport heat form one of its surfaces to another and the heating and cooling direction and the magnitude depends on the direction and magnitude of the electric current that flows through it. 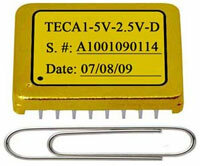 A TEC is consisted of two ceramic plates sandwiched with Peltier elements which are connected in serial and terminated with 2 leads. When ADC voltage is applied to the 2 leads, a current is generated and goes through all the Peltier elements, each element generates cold on one end and hot on the other end. All the cold power generated by each element adds up at one of the ceramic plates and all the hot adds up as well at the other plate. Thus, one plate becomes hot and the other plate gets cold. 2. Q: How Does a TEC Controller Work? A: All the TEC controllers have a temperature sensing circuit. It reads a temperature signal from a temperature sensor which is mounted onto a target object and derives this signal into an analog voltage representing the actual temperature value of the target object. The controller then compare the temperature analog voltage with a pre-set analog voltage which represent a desired set-point temperature. The comparing result, also called error signal, is used for controlling the polarity and magnitude of an H-bridge driving engine to drive a TEC module on which the target object is mounted. 3. Q: What are the critical circuit blocks in a TEC controller? A: A TEC controller is consisted in these circuit blocks: temperature sensing, error amplification, thermal loop compensation, and output stage, The temperature sensing circuit needs to have high precision, low noise, and high stability. The error applification needs to have high amplification gain and, at the same time, low offset error, and high stability. The compensation network is the most critical block, it needs to match the thermal load precisely and balance the nonlinear controdict effects between heating and cooling. The output stage must have high power capability and high efficiency. 4. 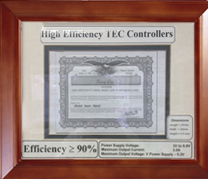 Q: What are the specialties of the Analog Technologies' TEC controllers? 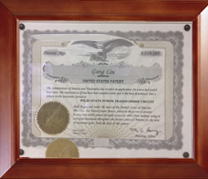 A: Analog Technologies, Inc. (ATI), has been in business for 21 years and developing and manufacturing TEC controllers for 18 years. 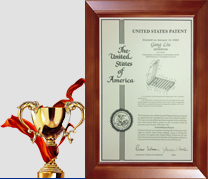 It has a few innovative designs and was rewarded by a few US patents. These designs enables ATI to achieve high stability, high efficiency, small size, and low cost simultaniously. 5. Q: Do ATI's TEC controllers come with SMT versions? A: Yes, we do provide SMT (Surface Mount Technologies) type packaging, but do not recommend using such a design. 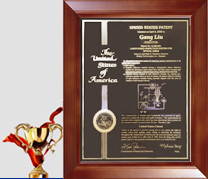 This is because SMT decreases the reliability and degrade the thermal dissipation capability. 6. 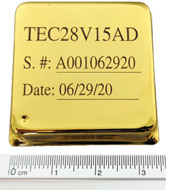 Q: How Long ATI warranties its TEC Controllers? 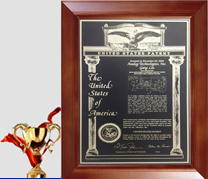 A: We give 30 days unconditional warranty and 10 years conditional warranty. That is, within 30 days, you can return the TEC controllers or exchange other types, excluding custom designed and made products. Within 10 years after buying the product, ATI gives free replacement units after the customers sending back the old bad units - provided that the controllers have been used properly. 7. Q: What is the Best Way to Fine Tune the Compensation Network? A: Tuning the compensation network precisely to match the thermal load is critical for achieving high temperature stability and response speed. We recommend using the TEC controller evaluation board to do the tuning which comes with an adjustable compensation network. 8. Q: Why does the actual temperature of the target object fluctate with ambient temperature change or ambient air flow fluctuate? A: In most cases, this happens when the thermal compensation network does not match the characteristics of the thermal load well. Fine tuning the compensation network will solve the problem. 9. Q: Why my system takes too long a time to reach the set-point temperature? A: There are 2 possible reasons: A. The TEC does not have too much thermal power thus it takes long to reach the set-point temperature. When this is the case, the TEC controller drives the TEC at its maximum full cooling or heating voltage, i.e., you will see a straight line when measuring the voltage across the TEC. B. The thermal compensation network does not match the characteristics of the thermal load. When this happens, the voltage across the TEC appears to be oscillating, the voltage value goes up and down, the the palarity toggels back and forth. 10. Q: What are the specialties of of ATI's TEC controllers? A: ATI's TEC controllers utilizes a patented H-bridge which uses low component count and consumes less power, the result is: high efficiency, smaller size, and low cost thus low price. In addition, ATI's controllers are completely potted at a vaccum chamber, to ensure consistant thermal conduction from inside out, and is ready for space applications. The grounded metal case blocks EMI from getting in and out of the TEC controllers. 11. Q: Are ATI's TEC controllers shielded? A: Yes, they are completely shielded by gold coated metal housing, it prevents the EMI from coming out the controllers and, at the same time, it also blocks outside EMI's from going into the controllers to interfere the internal electronics. 12. Q: How the TEC controller temperature range is determined? A: The TEC controller, TEC-A1-xV-xV, has an internal temperature network which reads the resistance of a standard 10k thermistor, convert the resistance into an output voltage on the TEMP pin which is proportional to the temperature of the thermistor. The networt convert the temperature into the voltage in such a way that when the temperature is 15C, the TEMP voltage is 0V; when the temperature is 35C, the TEMP voltage is 3V.